Jlab is renowned BiPAP Ventilator Manufacturer, BiPAP Ventilator Suppliers, BiPAP Ventilator Exporter, Hospital Surgical Equipments, BiPAP Ventilator India. 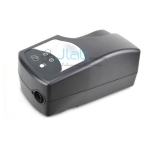 Jlab are engaged in business of manufacturing and supplying premium quality BiPAP Machine. it is a sort positive airway pressure machine that is biphasic in nature. Being biphasic, our product will give dual pressure, one for inhalation and another for exhalation. This machine is usually used for patients World Health Organization expertise sleep disorder and can not tolerate single continuous air pressure. BiPAP Machine also can be set to own a breath temporal arrangement feature that measures number of breath per minutes and can force an individual to breathe by increasing air pressure.